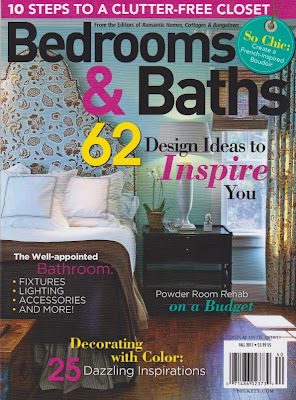 I am over the moon excited to have my home featured in the Fall 2011 publication of Romantic Homes~Bedrooms and Baths magazine. I'm completely humbled to be featured in 5 different articles! The magazine is available on news stands until 10/18/2011. Thank you, Rebecca Razo for this amazing opportunity. 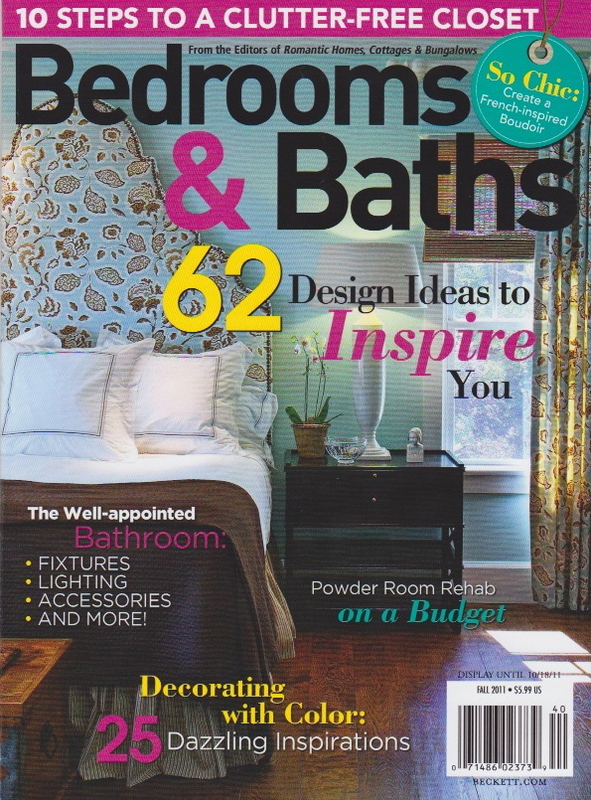 You can find The Yellow Cape Cod (Sarah Macklem Interiors) featured on page 7, 12, 30, 42 and pages 82 & 83. Bedrooms and Baths is a special publication by the editors of Romantic Homes and Cottages and Bungalows (My favorite reads). This issue is full of inspiration, designer tips, tutorials, and shopping guides. Congratulations!!! You deserve it! Where may I get an autographed copy? as you deserve, I'm so pleased too! Now people can spread the word about your talent and put it to work. congrats!!! I can't wait to check it out. I "discovered" you about 6 months ago and am an avid fan. Everything you do is beautiful. I'm so happy for you! CONGRATULATIONS!! So exciting..and well deserved you have a beautiful home! Congrats on a well deserved honor and I'll be looking for the magazine. How WONDERFUL! Congratulations - it's much deserved as you are so amazingly talented!! Enjoy! I picked up a copy today! Can't wait to read it. I love your style! Do you have any photos of your kitchen? Oh Happy Day- you have a beautiful style. Everything you do is amazing! I would love to get some of your design advice for our home in Ohio. I can't wait to get a copy of the Magazine! what is the red color u used int eh bathroom?